Hello Everyone | I honestly apologize for not updating the past week, even with school being out I have been really tired and not feeling good enough to post. 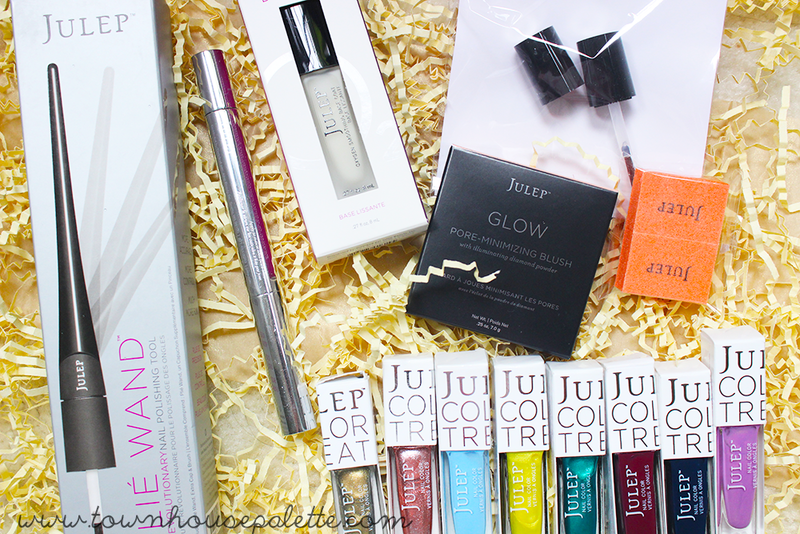 Today's post: My sister has been getting Julep Boxes throughout the year and I have been meaning to write a post regarding them. Why not do this post as my first post of Summer Vacation! I have not even tired anything, except the cuticle serum pen and swatching the blush. 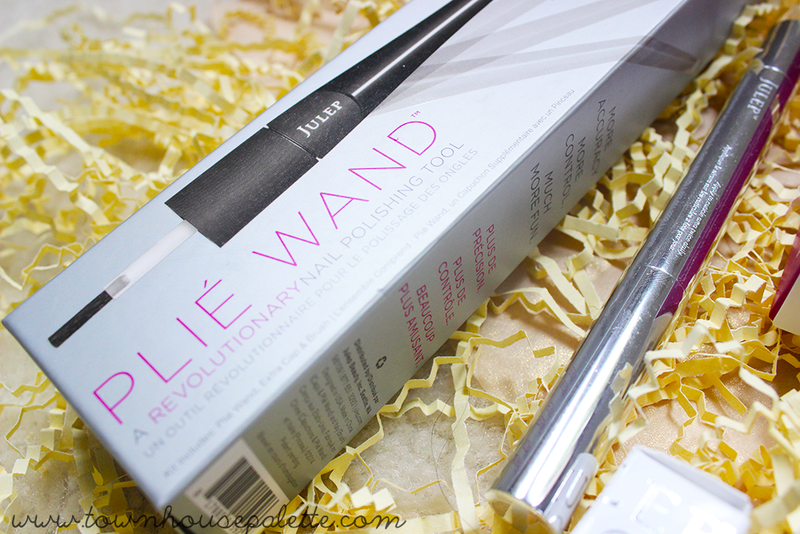 I honestly love all the colors, extras, but I do not like the Plie Wand. It basically is an extended nail polish brush that is shaped to fit in your hands like a pen. It can stay at a 180 degree angle or twist to a 90 degree angle. I honestly think this is pointless. It also comes with extra magnetic pens cap and brush. If you are new to nail polish, then maybe this would be a nice tool for you to try, but at the moment I do not like it. -I like the Smoothing Base Coat because of the cloudy color to make your nail colors pop and the consistency is light. 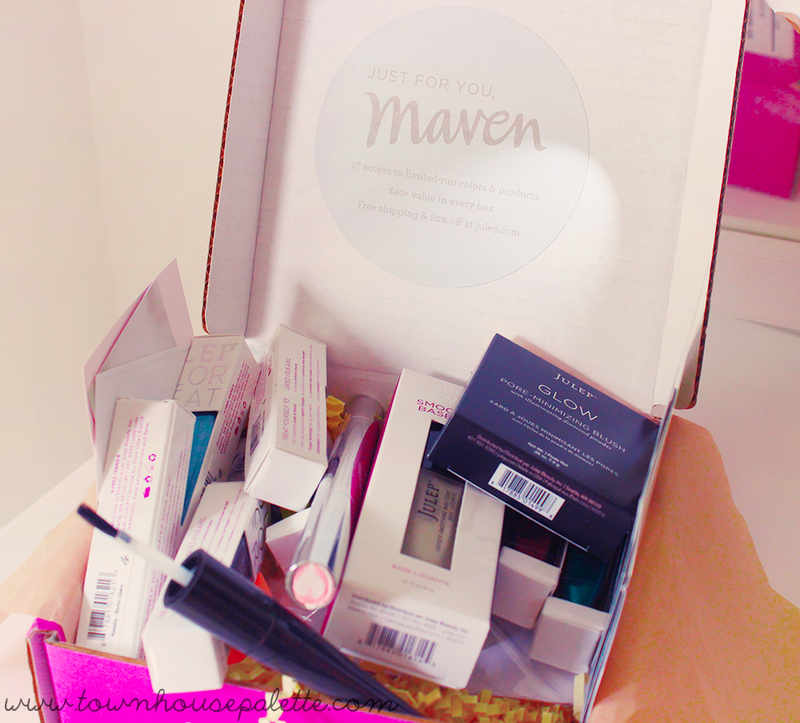 -The Mighty Nail and Cuticle Serum is very nice because it is a twist pen that resembles to the famous Touche Eclat. I have seen some thickening of my nails, but expect a full review soon. -The Glow Blush in 'Peach Bellini' is a typical coral blush. It has a coral base with gold shimmer. Looks lighter in pan, but darker when swatched. - It comes with random nail buffers and some coupons. 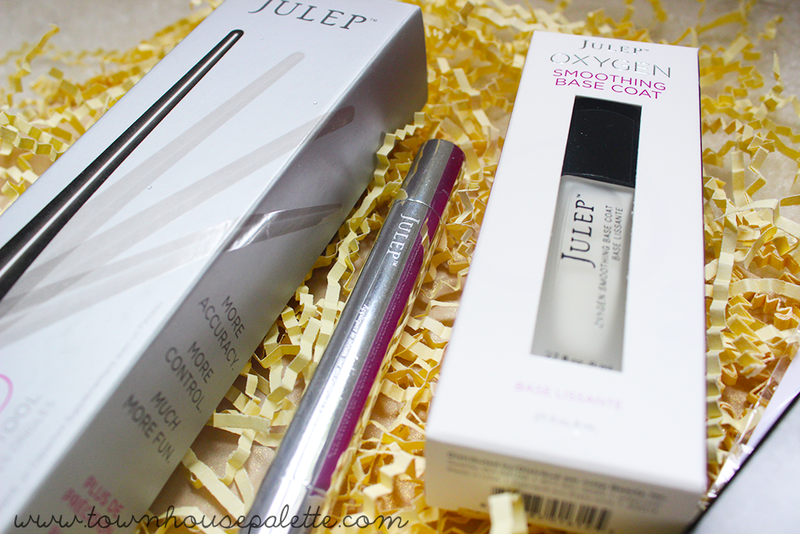 Overall, I really like the Julep boxes I have been getting. I am a nail polish fanatic, who loves nail designs than the average solid color. That was all for this post, I know it was short...lol. If you want any in-dept reviews, please comment. More important things, I am looking for people to co-host with me for the Beauty and Fashion Blog Hop. If you are interested send me an email ( in the sidebar ). 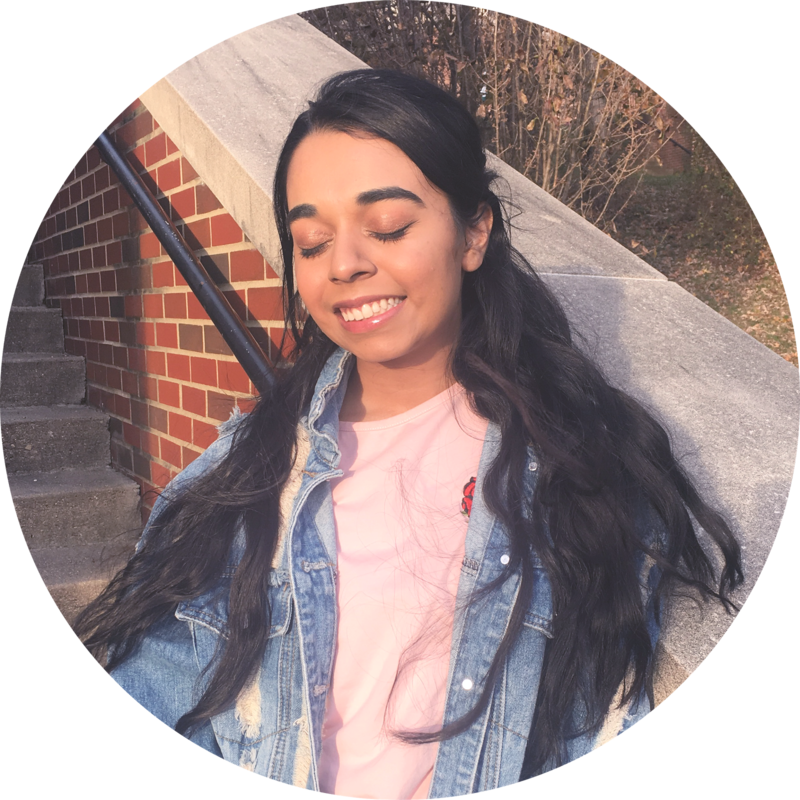 Include blog name, url, and tell me a little about yourself. Also, I will be starting Shameless Laila on Monday because I have a busy rest of the week. 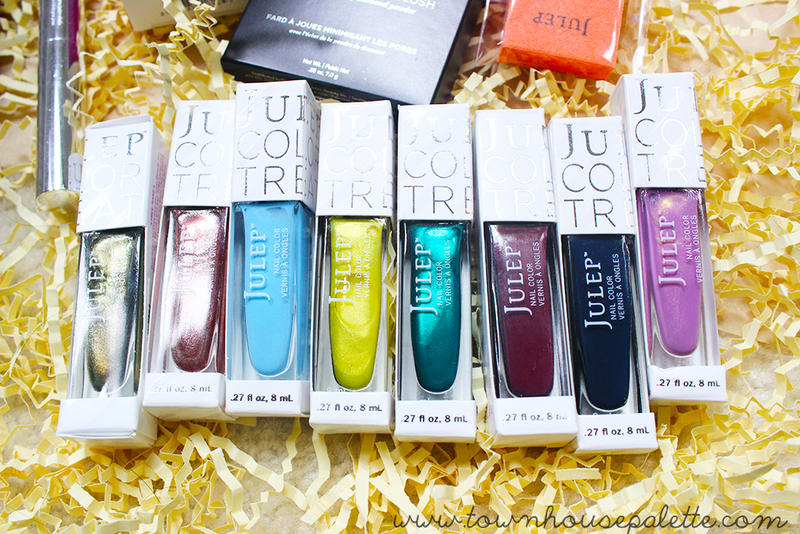 Tell me your thoughts on Julep? What posts would you like to see?